Michelle Towers, beloved daughter passed away peacefully with Mom and Dad at her side at the Peter Lougheed Centre, Calgary Alberta on Saturday January 26, 2019 in her 38th year. Michelle was an avid animal lover. Her American bulldog Wrigley meant everything to her. Michelle also loved to travel but never had the opportunity to see the many destinations she dreamed of visiting. Loving daughter of Joel (Tyler) and Carole Towers of Brighton Ontario. Cherished grand daughter of John and Jean Towers of Grimsby Ontario. Michelle will be sadly missed by her many aunts, uncles, cousins and close friends. Friends and family are invited to a celebration of Michelle’s life at the CFB Suffield Christ the King Chapel, 425 Larkhill Lane, Ralston Alberta on Friday, February 8, 2019 at 10:00 am. Reception to follow. The family would like to thank the staff at Peter Lougheed Centre ICU for their care and support in making Michelle’s final weeks as comfortable and peaceful as possible. As expressions of sympathy, flowers are welcome or if so desired donations to the Medicine Hat SPCA would be sincerely appreciated by the family. 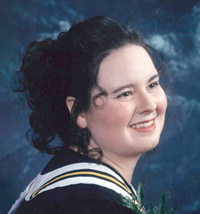 In living memory of Michelle Towers, a tree will be planted in Fish Creek Provincial Park. Ron and I are so very sorry for your loss. Our thought and prayers are with you both at this sad time. Ron and I are so very sorry for your loss. Our thought and prayers are with you both. We are so very sorry for hearing the news of Michelle’s passing.